Learn about the James Bond lifestyle and explore the rich history of 007: the exotic Bond girls, the devious villains, the fast cars and the 24 films that make up the 50 year old franchise. The complete list of all James Bond cars from the humble Sunbeam Alpine in Dr. No through to the beautiful Aston Martin DB5 in Skyfall, learn about all the iconic Bond cars in one place. The complete list of all James Bond girls from Honey Ryder in Dr. No through to Sévérine in Skyfall, learn about all the iconic Bond girls in one place. Our list of the Top 10 Bond villains and henchmen from the iconic Oddjob to the larger than life Jaws, to the menacing Le Chiffre. Sorry, no Dr. Evil. The complete list of official James Bond films, Beginning with Sean Connery, and going through George Lazenby, Roger Moore, Timothy Dalton, Pierce Brosnan and Daniel Craig. A complete history of all the actors who have played James Bond in film, radio and TV. From Barry Nelson through Sean Connery and all the way to Daniel Craig! Our list of Bond's Top 10 most memorable and tense close shaves, where he narrowly escaped near certain death against explosions, fire, crocodiles and lasers. 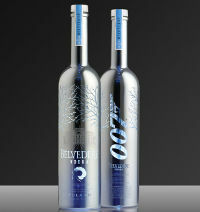 Belvedere Vodka, the premium vodka for those who know the difference, is now the official vodka brand of James Bond and the upcoming film Spectre. In an exclusive gentleman's club in Knightsbridge, London, President of Belvedere Vodka, Charles Gibb, and Head of Mixology, Claire Smith, discussed the partnership and talked about the evolution of the martini and its relationship with James Bond. Before James Bond gave the martini its glamorous reputation, most were made with gin and stirred. Bond's influence on popular culture created a shift toward the vodka martini, shaken not stirred. Belvedere President, Charles Gibb, said "James Bond is recognized as the most admired and influential tastemaker in the world. We're delighted that Belvedere will be partnering with SPECTRE, our largest global partnership to date." 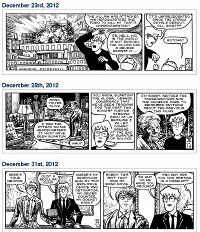 Today we have an interview with comic writer and artist Josh Edelglass, who recently published a hilarious series of comics parodying Skyfall and James Bond. The series was part of his project Motion Pictures Comics, which Josh aptly describes as "A boy and his robot mysteriously gain the power to jump in and out of movies. Hilarity ensues." Q: Tell us a bit more about Motion Picture Comics. How did you come up with the idea of having a man and his robot morph in and out of various films, making fun of them as they go? Motion Pictures has had a lot of permutations. Back when I was in college, I drew a daily political cartoon for the school paper. After I graduated, I started contacting syndicates. I didn't have much luck with the political cartoon, but I got a few nice responses from people who said if I ever came up with any new ideas, I should try them again. OK, great, all I needed was a new idea! The 50th anniversary of James Bond has brought forward a wealth of new publications. While some focus exclusively on Skyfall, many have taken the opportunity to give a deep retrospective on the entire series. 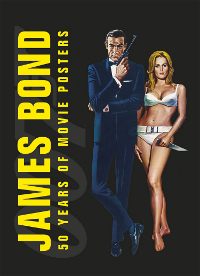 One such book, James Bond: 50 Years of Movie Posters, was published on September 3rd by DK, who were kind enough to send a copy for review. 50 Years is ordered chronologically, with a chapter covering each film from Dr. No through to Skyfall. It is also very text light, with 90% of the space being pure posters. Each film gets an introduction and each poster has a short comment or piece of trivia. Other than that, it is posters galore. 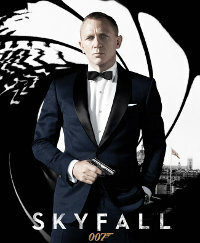 A full 2 minute trailer has been released for Skyfall, the final version before the film's opening day on October 26th. The trailer contains segments from earlier teaser trailers, but also includes some new, previously unseen footage. Skyfall, directed by Bond newcomer Sam Mendes, will feature Spanish actor Javier Bardem as villain Raoul Silva, an ex-MI6 agent who is seeking revenge against the service. The star-studded cast also includes Ralph Fiennes as Mallory, Naomie Harris as Eve, Albert Finney as Kincade, and Bérénice Marlohe as Sévérine.